Christmas is a time for family, friends, and giving. Decorating the tree while sipping eggnog, chestnuts roasting on an open fire, Snow falling lightly outside…. 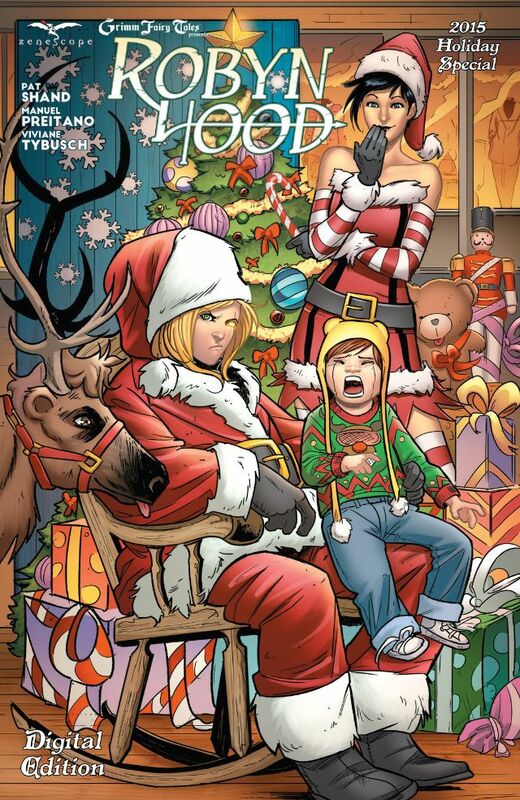 As the Christmas countdown starts here Zenescope bring us a dark Robyn Hood story set around Christmas! I quite enjoyed it – it’s not a soft story, but a break from the main series where Robyn is not happy about Christmas in general and thinks back to the last Christmas. We’ve got demons, Krampus and more as Robyn fights for a Christmas for some homeless children! The finish is quite bittersweet, but worthy of a read! 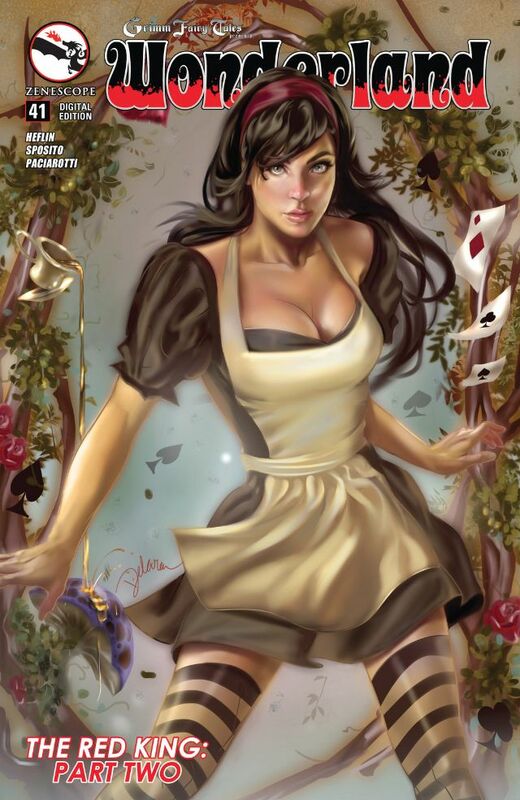 Part 2 of The Red King continues with two battles going on – one is persona for Callie as she fights to reclaim her daughter from the Mad Hatter. Meanwhile the rook fights the army of the Spades and now the battle for Wonderland starts in earnest! The Ace of Spades seems to have all the ‘ahem’ cards, and by the end, Callie looks to have lost! 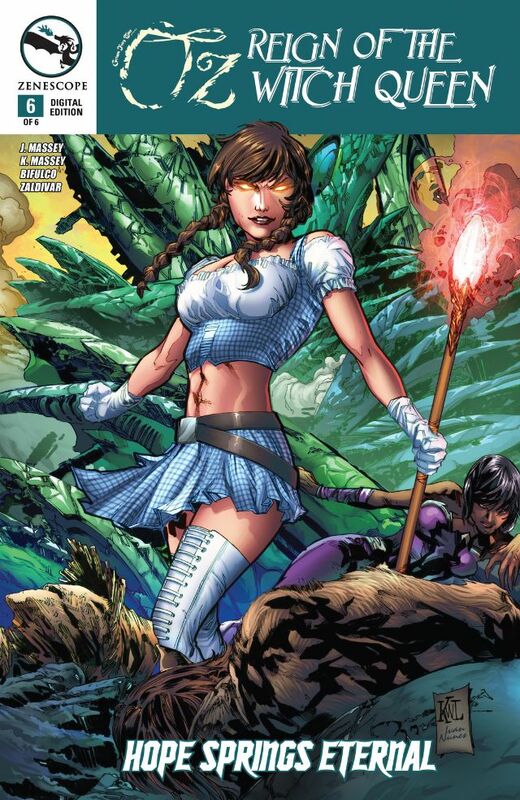 The final issue of the series and the trilogy wraps everything up well with the return of Glinda and Dorothy making some interesting discoveries about the nature of the ongoing battle against Zamora. The final battle is quite epic and wraps up everything with the trio of Glinda, Dorothy and Zamora. Oz is back to normal!